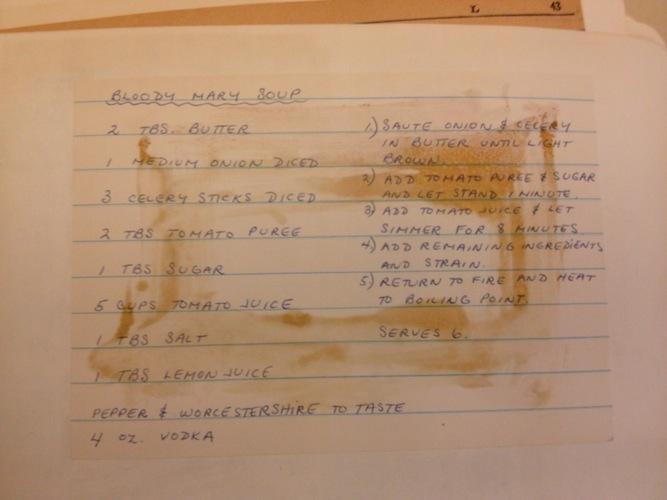 The recipe book from the New York Exchange for Woman's Work includes this tasty oddity, which is somewhere between a boozy soup and a warm cocktail. In 1878, the repercussions of the Civil War were still being felt, especially for women who lost husbands or fathers and found themselves unprepared to support themselves. To help these women get back on their feet, the New York Exchange for Woman’s Work was founded in 1878, selling things like scarves and mittens made by “impoverished gentlewomen.” And how did the Exchange pay its rent? Partly with a restaurant. 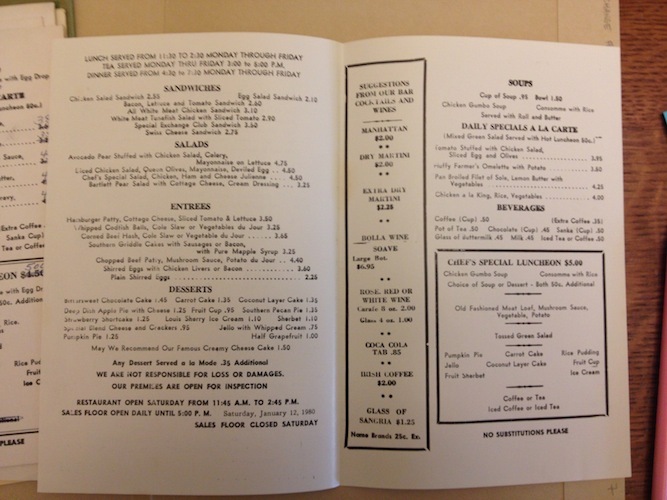 The New-York Historical Society holds a menu and recipe collection from the Exchange’s restaurant that spans from 1934-1980, showing the changes in tastes over the years. The earliest menus feature Chicken Aspic with Mayonnaise for 60 cents, and roast oysters with coleslaw for 75. 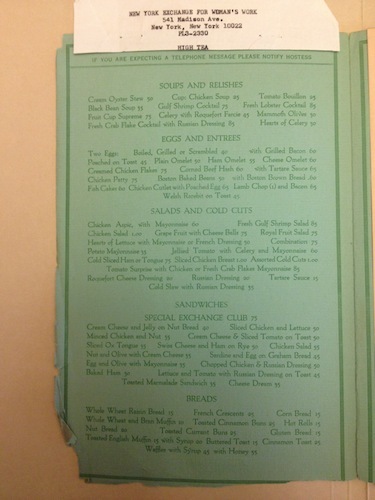 By the 1960s “whipped codfish balls” made an appearance, and the last menu offered Chicken a la King for $4. In the 1970s, the IRS began to question the restaurant’s tax-exempt status, concluding that the restaurant itself did not serve the Exchange’s charitable mission and would need to become a for-profit establishment. The restaurant closed permanently in 1980, and the rest of the exchange closed in 2003 amid rising rents. The recipe collection includes the restaurant’s own recipe book, as well as numerous scraps and personal recipes, many of which were likely served at benefit dinners or other private occasions. 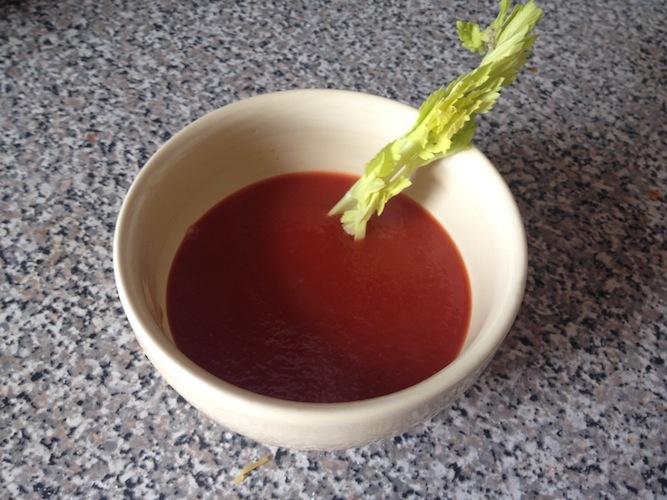 One recipe I found is for “Bloody Mary Soup.” It sounded like a warm Bloody Mary, or tomato soup with vodka in it—both of which seemed promising. How did it never dawn on me that the flavor profile of a Bloody Mary makes for such a well-seasoned soup? 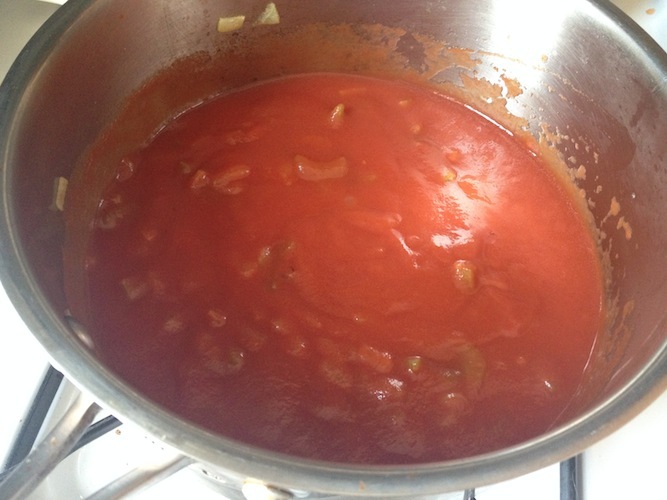 Seriously, this may become by go-to basic tomato-soup recipe from now on. The vodka isn’t even enough to taste—it just adds a bite right after it boils off. Kudos to whoever figured this out. Also, how long until someone poaches an egg in this soup and calls it brunch? You can thank me later.